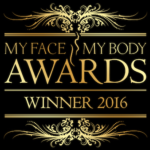 We provide an award winning 4D Clear-Lift anti-ageing technology, pain-free hair removal, multi-coloured tattoo removal, treatments for pigmentations, rosacea and skin tightening. The technology is safe for all type of skin, including dark. Most of the times there is no downtime and results are very quickly visible. 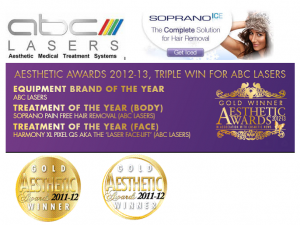 Laser is the best and most natural method of enhancing your look and giving you bright, glowing skin. ALMA ClearLift is the most comprehensive Q-Switched Nd:YAG anti-ageing treatment solution available today. A single laser module treats many separate indications for all skin types, with new and unique technological innovations for each indication. The Alma ClearLift delivers maximum power and optimum results. This is high power non-ablative Q-Switched Nd:YAG 1064nm laser which doubles the laser frequency from 532nm. It compromises of unique rod laser configuration that maximises energy production for greater treatment efficiency. The treatment is based on a unique method of energy dispersion, emitting narrow pulse widths with multiple peaks of energy, resulting in more effective treatment and increased patient comfort. ClearLift delivers photo acoustic shockwaves to target area through high laser intensities in nanosecond pulses. This mechanical Q-Switched effect creates controlled dermal wound. The treatment is powerful enough to address challenging skin imperfections, hyperpigmentations and multicoloured tattoos, while gentle enough to treat the most delicate areas of the face, neck and decollete. ALMA ClearLIft uses a specially designed fractional Q-Switched laser focusing the energy (of 1064nm wavelength) beneath the epidermis. This creates a controlled dermal wound while leaving the epidermis intact and not hurting. The wound healing process and skin remodeling occurs under the surface of the skin and stimulates growth of new collagen as well as contracting and tightening of the tissue. The treatment is ‘lunchtime procedure’ that is virtually painless with little to no downtime, no need for pre-treatment anaesthetic and is safe for all skin types (I-VI). The controlled thermal injury results in tissue shrinkage followed by an inflammatory response. This phase is characterized by an up-regulation of collagen thereby resulting in tightening of injured tissues. It is required to have approximately 6 ClearLift treatments once every 2 to 3 weeks. Maintenance is recommended yearly or half yearly with a single session. Contact Blue Light Dental Clinic for a FREE e-consultation and to discuss our available wrinkle treatments.